Found 2 file extension associations related to LG Flash Tool 2014 and 2 file formats developed specifically for use with LG Flash Tool 2014. 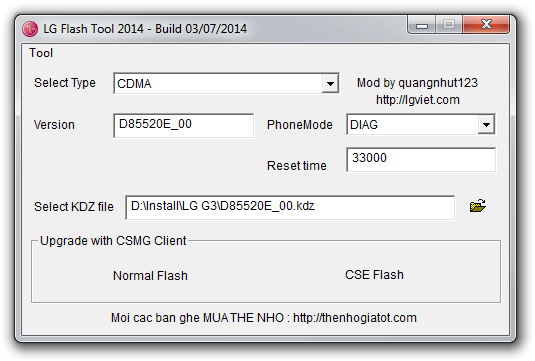 LG Flash Tool 2014 is used to install .kdz firmware files to LG smart phones with Google Android operating system. Install KDZ firmware to LG smartphone - Learn how to flash LG phone yourself. If you need more information please contact the developers of LG Flash Tool 2014 (LG Electronics), or check out their product website.